An external frame pack is designed to carry heavy loads. This pack is made by Janz Sport. The top of the pack holds a thick waffle foam pad. I also have a 0° down bag inside the pack and a two man North Face tent is lashed under the pack. 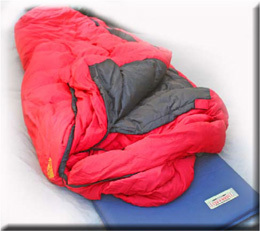 The tent provides lots of room and its thick pad provides luxurious sleeping conditions. This system can weigh up to 15 pounds for tent, pad, sleeping bag and pack. With this external pack I’m able to carry loads exceeding 50 pounds. It’s used in severe conditions or poor weather. 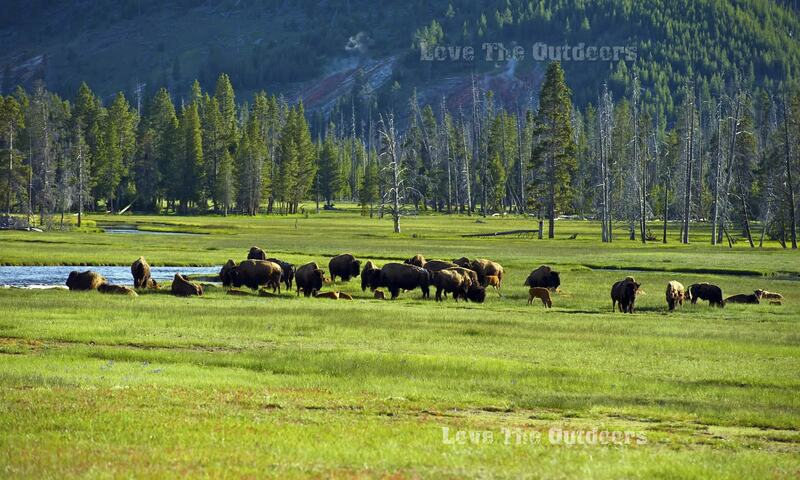 Remember though that loads over 40 pounds make back packing work instead of recreation. It’s easy to pitch this two man tent. The tent components come in their own stuff sack. They consist of tent body, rain fly, stakes, and shock corded aluminum poles. First, select an area that is free of rocks and sticks and things that might become uncomfortable. A bed of dead pine needles is preferred because no living plants are disturbed and the needles insulate the cold ground. I also select a campsite that is far away from any dead trees that may fall. 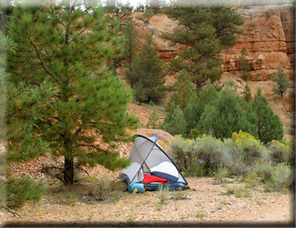 Start by clearing the ground and laying out the body of the tent with its door and windows in the desired directions. Stretch the tent floor evenly and stake down its corners. Next assemble the shock corded poles. This tent has two poles and they crisscross through their corresponding sleeves. Their ends fit in grommets on the tent’s corners. This crisscross design makes the tent self standing. Once it is erected secure all tent stakes by setting in the earth completely at a 45° angle to the tent. The rain fly can be used if the weather looks like it may be bad. 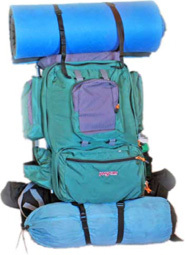 The external frame pack should be loaded with the heaviest items on the bottom and closest to your body. The lighter items go on top and the away from your body. This way your center of gravity is minimally impaired. This allows for easier hiking while packing in heavy loads. In this example my tent is the heaviest so it’s on the bottom. My sleeping bag is in the middle and foam is lashed on the top. 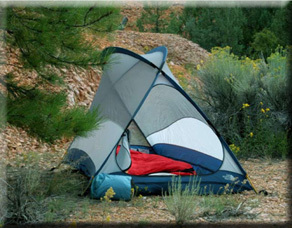 If you err by putting the heavy tent on top, you will continually be top heavy and experience balance control problems. 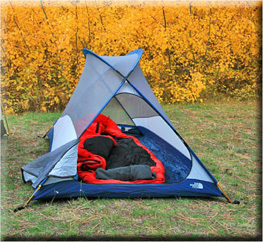 In conclusion, the external frame and twoman tent backpacking is useful for shorter hikes and extended stays. Also, it is of benefit in bad weather periods such as in rain and snow.